Family-friendly vehicles are a dime a dozen and it can be hard to wade through the selection and choose just one. You want safety and convenience, but you also want efficiency, versatile performance capabilities, and a fair amount of space on the interior, too. Plus, it doesn’t hurt to have some style going on! Toyota of Clermont is here to help. We think that the 2018 Toyota Highlander is the ultimate when it comes to family-friendliness, and we’re not the only ones. It recently was voted as the better option when it comes to its main competitor, the Honda Pilot. Why is the 2018 Toyota Highlander your best option for a family-friendly ride? How does it do it? 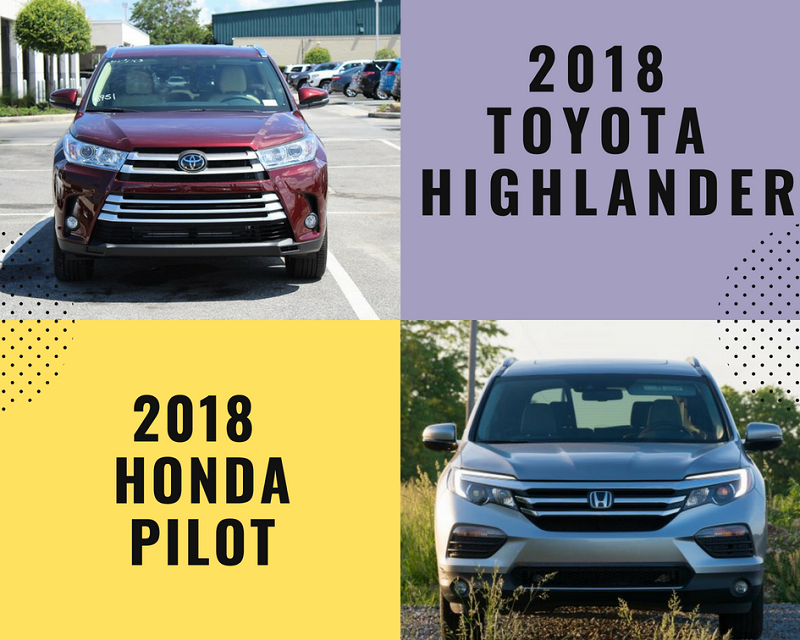 They’re pretty similar when it comes to size and performance… but the Clermont Toyota Highlander pulls ahead of the pack when it comes to safety and luxury options, and that’s what made it take the top spot when in competition with the Honda Pilot. We’ve got the details! First, let’s talk about safety because we know that’s a main concern when it comes to family vehicles. This Clermont Toyota comes standard with Toyota Safety Sense P, which means even on the base model you’ll get features like lane departure alert, a Pre-Collision System with pedestrian detection, automatic highbeams, and dynamic radar cruise control for highway driving. It also comes with a handy backup camera to give you an extra set of eyes. Its Honda competitor doesn’t offer any of the above features on the base level except for a backup camera. You’re definitely getting more bang for your buck with the Toyota option when it comes to safety! Let’s talk luxury next. Sometimes you just want to take your drive time to a new level, and this new Toyota SUV gives you the tools to do it. It comes with a larger touchscreen for your audio system, as well as more USB ports for hooking up your devices and charging. It offers a CD player (not found on the Honda Pilot) and also boasts features like a standard MP3 player, standard navigation, and comfy rear bucket seats. Fuel efficiency: This Toyota SUV gets 21 mpg in the city and 27 mpg on the highway. The Honda Pilot falls behind in the city, getting just 19 mpg, and breaks even on the highway with 27 mpg. Horsepower/torque: Our Clermont Toyota gets 295 horsepower and 263 lb/ft torque and comes with an 8-speed transmission; the Pilot gets 280 horsepower and 262 lb/ft torque and comes with a 6-speed transmission. Towing: You’ll be able to pull up to 5,000 lbs standard with the new Toyota option; its Honda competition only allows for towing up to 1,500 lbs. Space: Stretch out in the Toyota Highlander – it offers 4 more inches of legroom in the front. It’s easy (in our opinion) to see which of these SUVs should make its way into your driveway, so what are you waiting for? Schedule a test drive today! Call Toyota of Clermont at (352) 404-7000. We’re open seven days a week!